Time to answer some QUESTIONS REGARDING NETGALLEY! I don’t even want to know how many tags and awards I’ve been missing out on. I simply haven’t had the time to keep track of everything and.. I feel so bad about it too. Here’s me making an effort of catching up, even if it’s only one tag at a time. I really don’t like squeezing multiple into one post so yeah. In saying that, please, if you tagged me for something and I haven’t done it yet, please poke me and poke me and poke me so I will?! Anyway! For this tag – The NetGalley Tag – I got tagged by Avery @ Red Rocket Panda – thanks, Avery! I remember doing this tag last year as well – September, to be exact – so it’ll be fun to see how my answers have changed. Reading these questions, I do think there could’ve been more questions. Better questions – especially since it’s called the NetGalley Tag. In saying this, if you have any questions on how I handle NetGalley myself, feel free to ask! >> AUTO-APPROVED: WHO’S ONE AUTHOR WHOSE BOOKS YOU AUTOMATICALLY WANT TO READ, REGARDLESS OF WHAT THEY ARE ABOUT? Oh boy, only one? Yeah, NO. Cassandra Clare, Sarah J. Maas, Marissa Meyer, Becky Albertalli, Brigid Kemmerer and Holly Black. 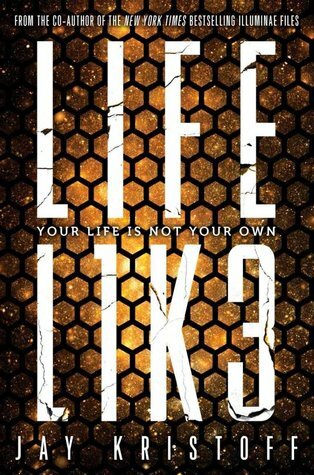 Jay Kristoff might be added to this as soon as I’ve read Lifel1k3 so.. we’ll see! >> REQUEST: WHAT MAKES YOU WANT TO REQUEST A BOOK ON NETGALLEY? Right now, I definitely take a look at the publication date first. I don’t want to drown in release dates and have those pressure me. Then I check the cover and blurb; if I like those – or at least like the sound of the blurb – chances are I’ll be requesting the book. I’ve gotten very picky with my requests though. Sometimes my own books need to come first. >> FEEDBACK RATIO: DO YOU REVIEW EVERY BOOK YOU READ? IF NOT, HOW DO YOU DECIDE WHAT BOOKS TO REVIEW? I absolutely review every book I get through NetGalley. I haven’t skipped one so far and I’m hoping to keep that up. Apart from that, I usually don’t review sequels I read. I simply don’t really feel the need to? And if a book was simply “meh” and has me unable to explain why it’s meh, I sometimes skip reviewing as well. It all depends, I guess. >> BADGES: IF YOU COULD CREATE ONE BADGE TO DISPLAY ON YOUR BLOG, WHAT WOULD IT BE FOR? I’m definitely going with Avery on this one because a genre-related badge would be epic! That way we can show off what genres we prefer and publishers can easily see how many books we’ve already read and reviewed in said genre on NetGalley. >> WISH FOR IT: WHAT’S ONE BOOK THAT YOU ARE ABSOLUTELY DYING TO READ? JUST GIVE ME THE SEQUELS. I needneedneed Wildcard, Kingdom of the Blazing Phoenix, Children of Virtue and Vengeance, The Wicked King, Rage, Kingdom of Ash and Queen of Air and Darkness! The list isn’t.. that big.. Right? >> 2017 NETGALLEY CHALLENGE: WHAT WAS THE LAST BOOK THAT YOU RECEIVED AS AN ARC THAT YOU REVIEWED? IF YOU’VE NEVER RECEIVED AN ARC, WHAT’S THE LAST BOOK YOU REVIEWED? In 2017? That would be All the Wrong Chords by Christine Hurley Deriso. I’m honestly tagging each and every single one of you so you better own up to this! No ignoring you just read this because you don’t feel like it! Like, simply copy/paste the link to this post in a draft and get back to it when you do feel like it. It’s what I do. And also how I save up on a whole ton of tags so maybe that’s not the smartest move..
What’s the sequel you absolutely need right now? Like, RIGHT NOW? Lmao, right?! No, thankfully, she doesn’t live very close to us – my dad grew up a few hours away from where we live now and I think she moved away at some point, too. Hmm…the sequels I can think of right now that I definitely need in my life are probably The Shadow Glass by Rin Chupeco and Children of Virtue and Vengeance by Tomi Adeyemi. Children of Virtue and Vengeance – YES. I’m also really hoping they’re going to do some amazing stuff with the movie rights of CBB. I have high expectations for a movie. They better do it right. KINGDOM OF ASH!!!! PLEASE!!!! FOR ONCE MAKE TIME GO FAST!!! *gasp* Did you see the cover for Kingdom of Ash 0.0 It is literally gorgeous! I’m so excited but so scared …. oh gosh. YES. AMEN. THAT. I NEED IT. And the cover is so prettyyyyy. I can’t wait to add it to the others and be all *drool*. I’m so going to drool all over them. Haha, NetGalley is way more impersonal than Edelweiss is when it comes to requesting books. NetGalley is a simple “click whether the cover, content, author or something else got you interested” or multiple of those options and then request. Edelweiss gives you the option to state why exactly you want a certain book – getting declined THEN hurts my soul every single time. Do not recommend if you’re heart-broken easily over getting denied things, haha. 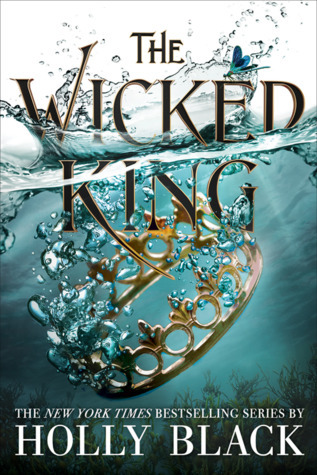 Like you The Wicked King!!!!!! I’m even hoping there’ll be multiple covers again as well since I have three copies of TCP, hahaha. A sequel I need right this second is Vengeful by V.E. Schwab. I loved Vicious so much and I can’t wait to read what happens next!! I haven’t read Vicious yet. Nor do I own it. I do own the ADSOM-books? But.. haven’t read those yet? I REALLY SHOULD, RIGHT?! I feel your pain. I’ll need something to cure that hangover up front or I won’t survive?! A genre badge is SUCH a good idea!